There are birds a-plenty in the South Florida swamps and wetlands, and they’re not always the towering waders. 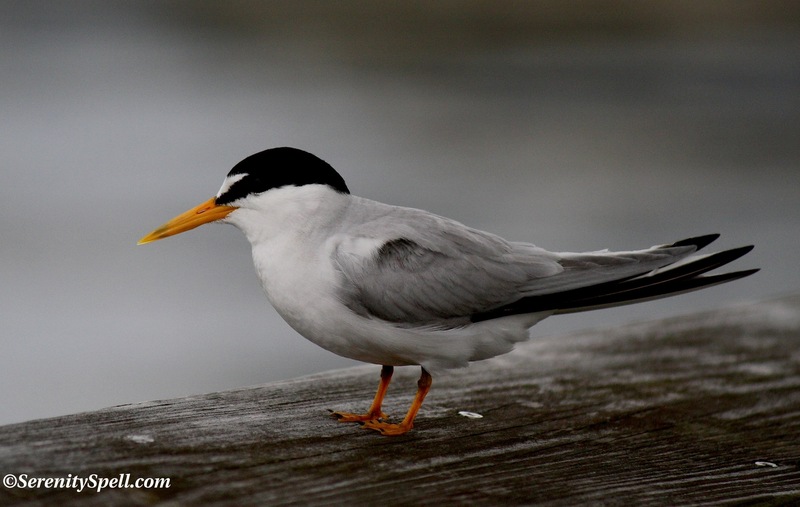 Least Terns are the smallest of the American terns, native to North America and northern South America. They’re migratory birds, and live in such habitats as sea coasts, bays, lagoons, lakes, ponds, wetlands, and rivers. These birds are colony nesters, breeding between April and August. Like many other birds, they usually return to the same breeding site year after year. 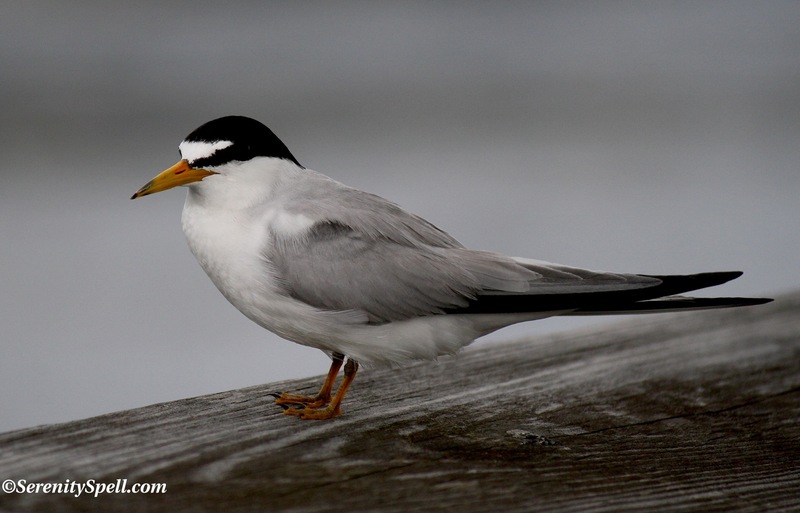 Least Terns are ground nesters, and situate their nests on the open ground, usually at higher elevations and away from the water’s edge. In flight, they hover and dive into the water for small fish and aquatic crustaceans, occasionally skimming the water’s surface for insects. They fly with fast, herky-jerky wingbeats in their signature hunchback display. Males and females of the species look alike: They have a forked tail, with pointed and narrow wings. Their bills are yellow in the summer, which turn black in the winter. When I see them in our wetlands, it’s nesting time — so they’re often together, as nesting pairs. SO BEAUTIFUL LITTLE BIRDS!!! I LOVE YOUR COMMENTS FOR EACH PICTURE – A COMEDIAN AT HEART ART THOU, I SEE!!! So cute! Love these birds! Talk about the mind being a VERY curious place . . . I have NO idea why this particular post made me positively ache to be in Florida — I love Florida so much — unless it would a (very loose — VERY) association between the black&white markings and my new Barney. See what I mean about strange?? Hahahah!!! That’s great. I think artistic minds especially are very loopdie-looooooop (and I say this in the BEST SENSE, because how else would anything creative come to pass?). But you’re right about the B&W markings! 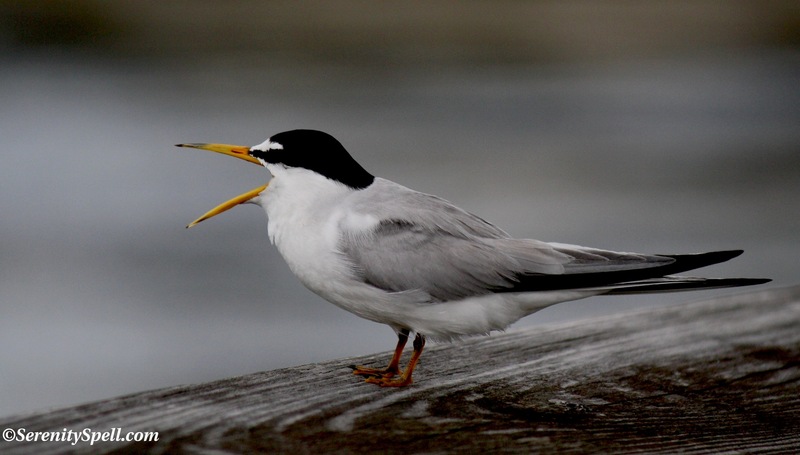 I was just looking up pictures of terns last night. I adore your work! Thanks so much for your sweet words!! Thanks so very much — I was thrilled to nab these usually timid, sweet guys! I love these dapper little dudes!! I do so love your sense of humor! SUCH a great description of them, “dapper”! They’re so standoffish, and that term blends perfectly with their demeanor. Their bills turn black in the winter? I wonder why? I love that I always learn something when I visit your blog. Are these Least Terns fast flyers? Aren’t they dapper, as one other photographer noted? I was thrilled to get close enough to nab them…. They’re usually a bit standoffish! They ARE very fast flyers! Trying to catch them is tricky. They fly quickly, with herky-jerky movements. To me visiting your blog, is like opening a window onto mother nature,, i love YOUr blog… thanks for sharing. Thanks so very much, for that! So adorable and awesome shots! Beautiful birds and terrific photos! Very enjoyable to see! Thanks so much! Someone called them “dapper,” and I think that’s a wonderful description. They tend to be a tad standoffish, so I was happy to get close enough to them to nab a few shots. Such pretty birds and fabulous shots. And so glad you appreciated being nominated for a POTW over at Hilary’s Smitten Image. And thanks again for the nomination — I wasn’t sure what a POTW was, but was very honored, and thrilled to be led to such a great site! Terrific shots of these often tough to photograph beauties! VERY true! I’ve often tried to nab them in flight with little success… Even at rest, they’re very standoffish. Thanks so much! I know there are many types of terns, but these littlest guys are the ones I most often see in our wetlands… I love ’em! So quick and seemingly perturbed. Heh. 🙂 I’d love to see the mixed flocks! I’m going to have to pay more attention to the terns I see daily. Your description of their behavior certainly suggests mine are Least Terns, but I can’t be certain of anything but the “tern” part. They are wonderful to watch, and they seem to be the most communicative of birds – well, unless you count the gulls. But the gulls just like to hear themselves talk, I think. The terns talk to each other. 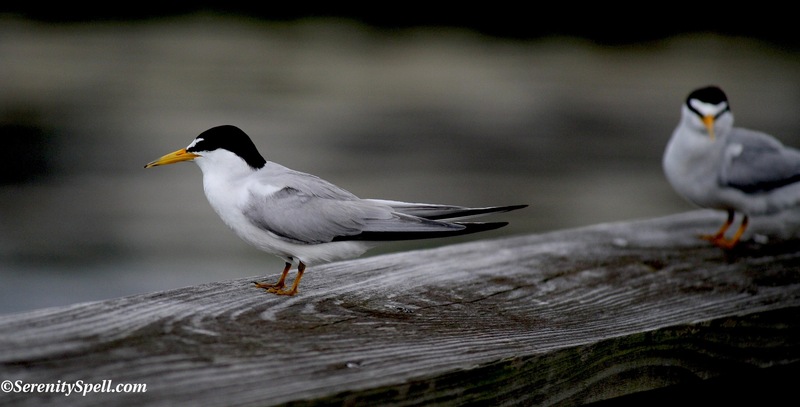 I know there are different types of terns, as well as birds that may *look* like terns but are called otherwise — unfortunately I’m not so knowledgeable on all the species. They’re all so lovely though, I just have to look ’em up when I get home.